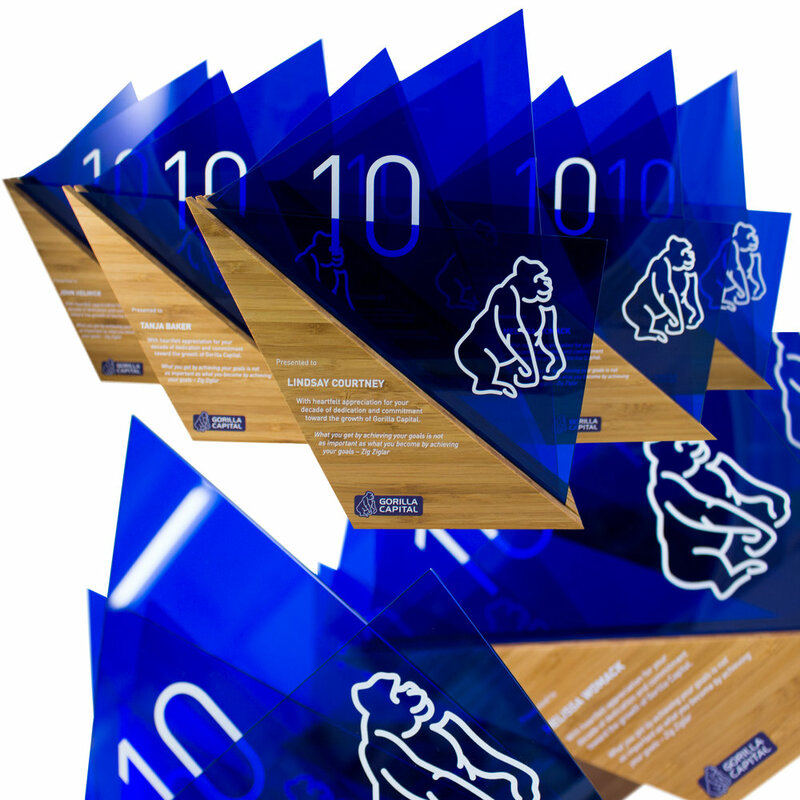 Awards have been created for specific events, themes and or corporate branding. "Our awards just arrived, and they are stunning! Funny, we had to go to Canada to have the best awards in America! Our honorees are going to love them. Our President was so impressed. You can count on us for a yearly order! Thank you again for your assistance with design and for expediting our awards." "We just received the trophies and the reaction here is awesome. People are blown away. These awards are artfully and beautifully crafted and better than we ever imagined. You are undoubtedly one of the most talented designers I have ever worked with, and the final product speaks for itself. Great job my friend. The quality of materials and the craftsmanship is unparalleled. Thanks again for everything, Andrew. Keep up the good work." "His attention to detail and his passion for design is inspiring. Andrew is a huge talent. His attention to detail and his passion for design is inspiring. Even when you, as the client, believe you have reached your final product, Andrew will make a suggestion as to how to give that final push of improvement. I trust his expertise and I look forward to future collaborations with him." "I received the trophies yesterday and absolutely LOVE them! They are awesome! I can’t wait to present them to our recipients. Thank you so much, you were great to work with and the end product is of great quality!" "Andrew was great to work with! Very creative and I truly enjoyed collaborating with him on our project. He helped meet a very tight deadline was willing to do whatever it took to get it done right! I highly recommend working with Andrew Watson Design and hope I get to do more work with him in the future." fuji xerox community awards - created from recovered materials. Custom eco design. spread custom eco sustainable trophy design. Modern and unique. taper modern trophy award. eco sustainable materials. 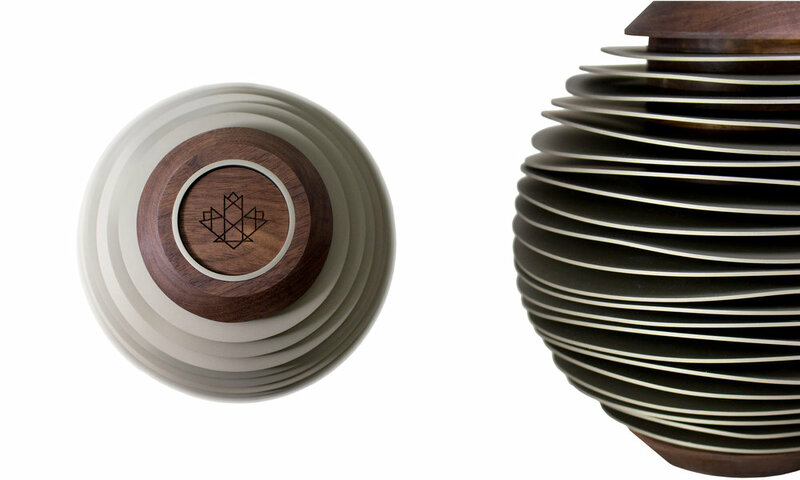 Awards that have been pre-designed are 100% customisable. Choose your preference for materials, colours and finishes to make this design your own! we specialize in creating unique award & trophy designs. have an idea? Contact us!